You wanna know what I’m loving? 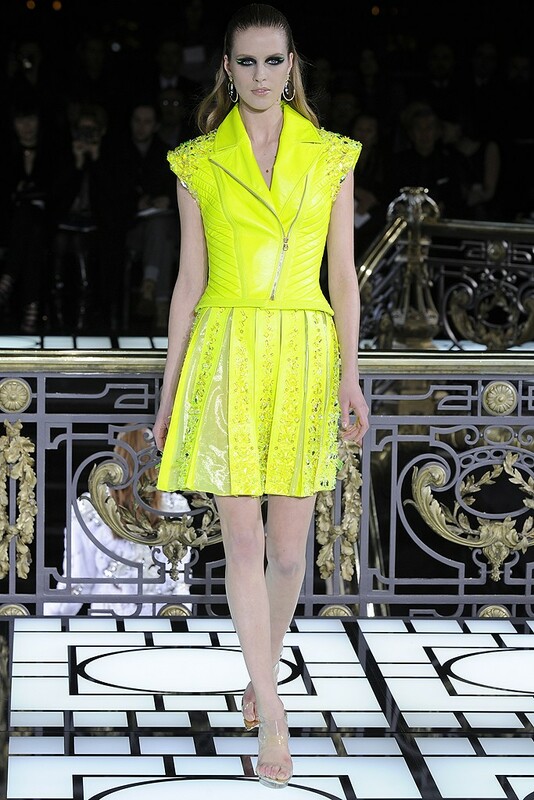 I’ve been loving the Dior’s Runway looks on the models! 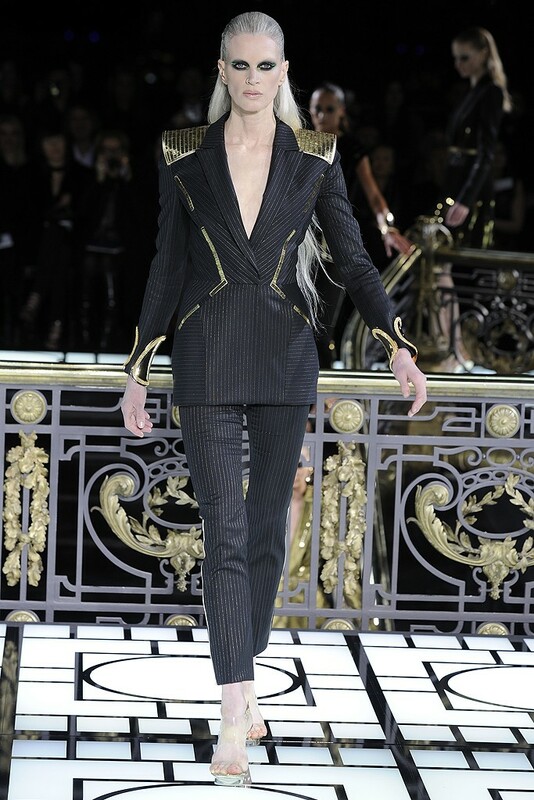 It’s very minimal, but very glammed up! The eye make up has a slight crease-cut, and a winged eyeliner, along with a clean finished eyebrows! 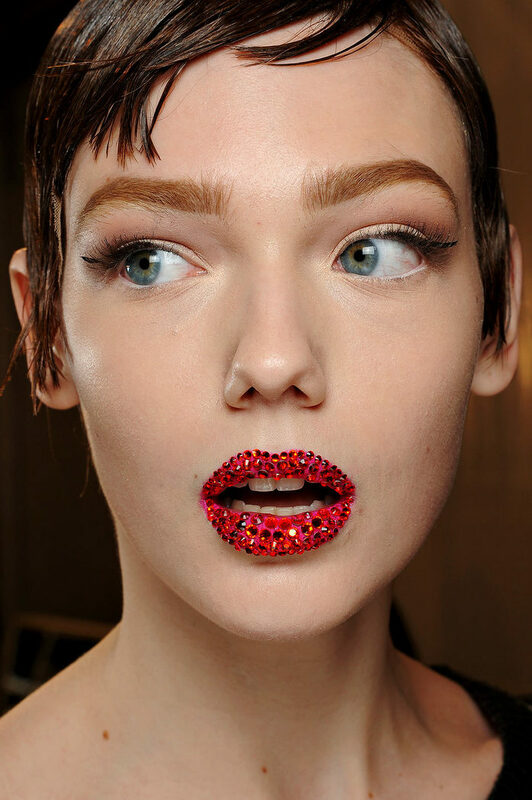 Makeup artist Pat McGrath adorned models’ lips with red gemstones for a look that was very reminiscent of ruby red slippers. This sparkling take on lipstick might look complicated, but in terms of a DIY, it’s easier to test out at home than the newest nail art trend. To get this look, you’ll want to adhere tiny gemstones overtop of a tinted lip. Traditional lipstick will be too slippery—instead go for something without a sticky texture or added shine, like a lip stain. Let the lip tint dry for a few minutes before you start adding the sparkle. Now the fun part: use eyelash adhesive, and start to stick the gemstones to your lips. You will need two sizes of gemstones, the slightly smaller size for the outline and bigger to fill in your lips. 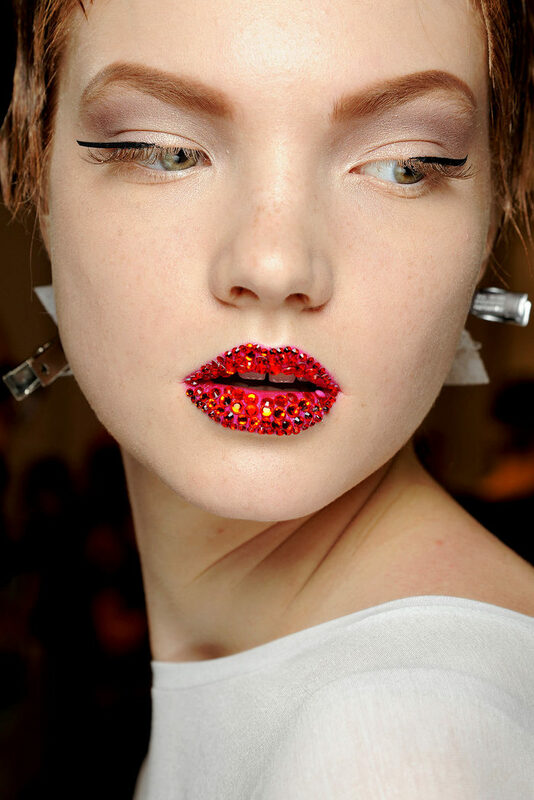 Add the gems to the outline of your lips first and then fill them in. Also note that the lips at Dior have an almost exaggerated bow, so if the gemstones sit slightly outside your natural lip line, that’s okay. The key to making the Dior gemstone lip last is all in the timing: this look is ideal for a night out where no eating is involved—and preferably one where any drinking can be done through a straw. Think you’ll try this at home? Share pictures if you do!